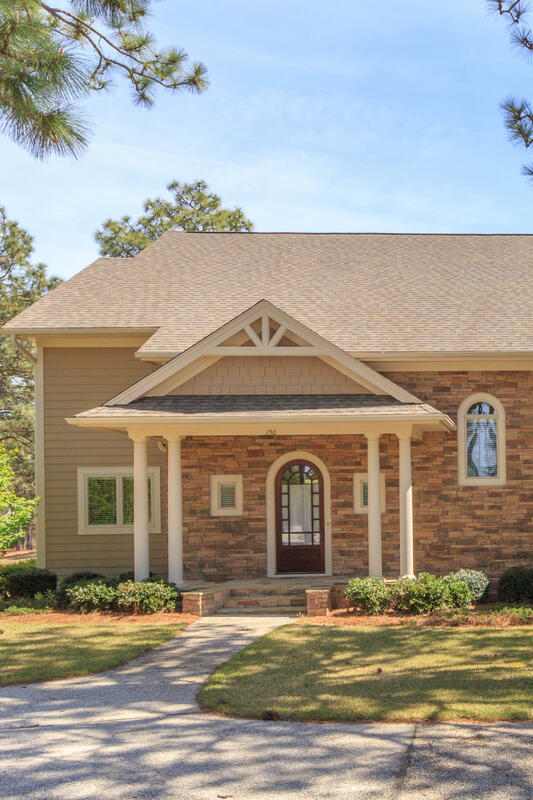 If you are looking for a luxurious property that serves you well for both full-time and seasonal residence in one of the premier neighborhoods in Pinehurst, you won't find a better option than this one. From the moment you step in through the custom built arched entryway door, you will recognize the care and attention to detail that went into creating this exceptional property. The home is filled with eye-catching finishes including deep crown moldings, board and batten trim work, and granite and marble countertops. The kitchen, which includes upscale appliances, a gas cooktop, and slow close cabinetry, opens into a dining area and a massive great room with 18-foot ceilings and a wall of windows overlooking the eighth green. A sunny Trex deck extends the living area outside.